Who knows you may be short-listed for interview or even recruited! Please do not miss this golden opportunity! You may get your dream job way ahead BEFORE your graduation! So, what are you waiting for? 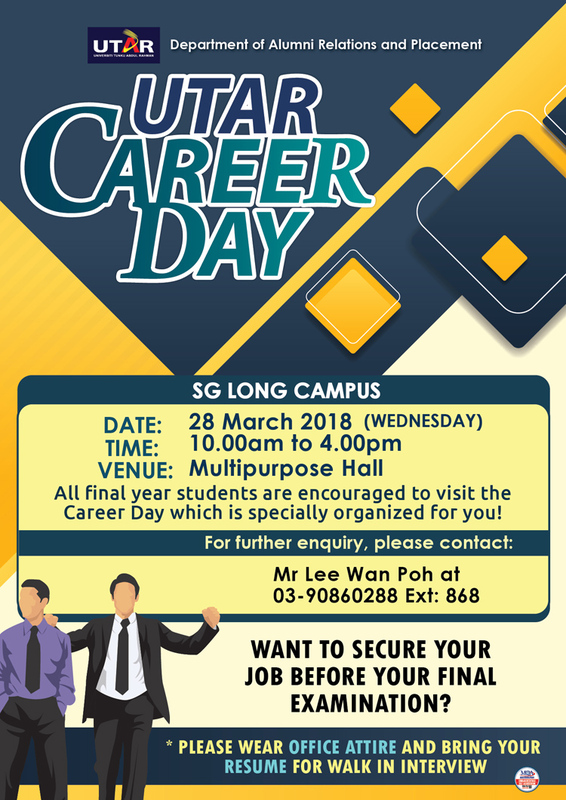 Remember to come and join the UTAR Sungai Long Career Day.